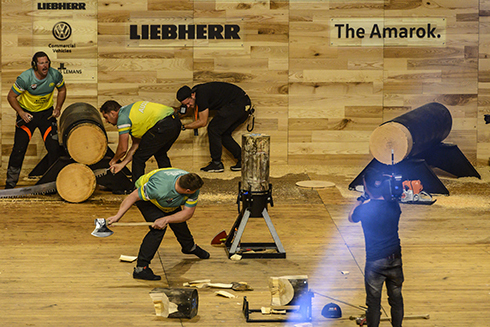 THE Australian Chopperoos have made history in Liverpool, England, setting a new world record time and beating the USA in the final to win their fifth STIHL TIMBERSPORTS® World Championship, cementing their title of the most successful national woodchopping team of all time. 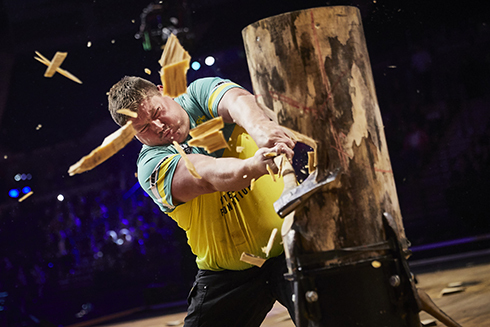 The Chopperoos were led by four-time world title winner and captain Brad De Losa (NSW) competing on the single buck, with Brayden Meyer (VIC) on underhand chop, Jamie Head (QLD) on the stock saw, and the star of the night both on and off the stage was Glen Gillam (VIC) on standing block chop, using his never before seen giant 13.5 inch axe that demolished every piece of wood that stood in its way. 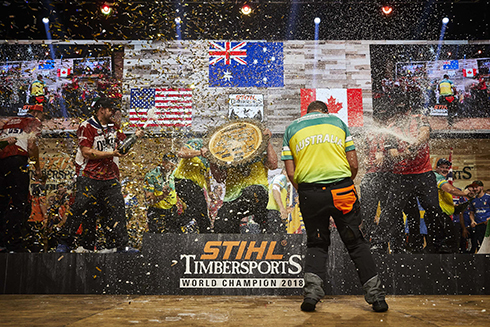 STIHL TIMBERSPORTS® is an international extreme sports competition series which sees the worlds best logger sports athletes compete against each other - and the clock - across heart-racing disciplines based on traditional logging skills.